Have you ever been at a church function, family birthday party, or maybe even a local fundraiser at your park and didn’t get your workout in that day? You aren’t at a gym, you don’t have any handy equipment to help you bust out that workout you so desperately wish to accomplish. GET YO BOOTY UP ON THAT PICNIC TABLE AND WORKOUT HONEY! Those 20 picnic tables hanging out together are yearning to be utilized for something more than just food holders. They want some pelvic thrusting, elbow dipping, hip swinging love. 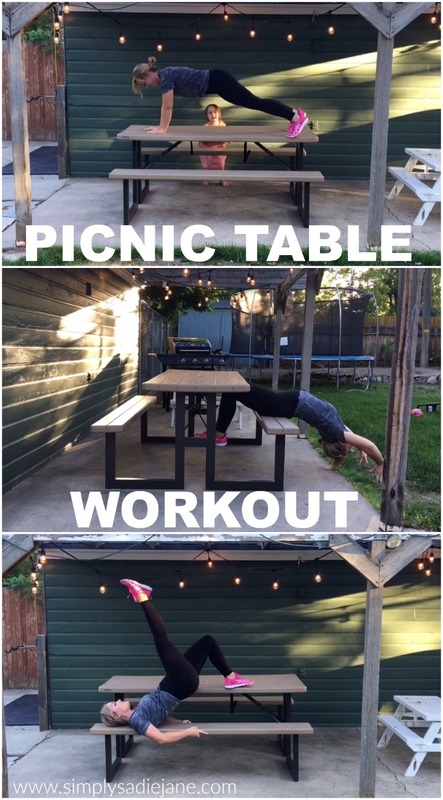 My hope in making this workout video is that you will never look at a picnic table the same.